My little sojourn to Sydney just recently was amazing. I love visiting Sydney. She put on her best weather for me, with two sunny days after a week long of rainy and cold weather. And I hear it’s raining down there again today! The Harbour just glistened and winked: teasing me! 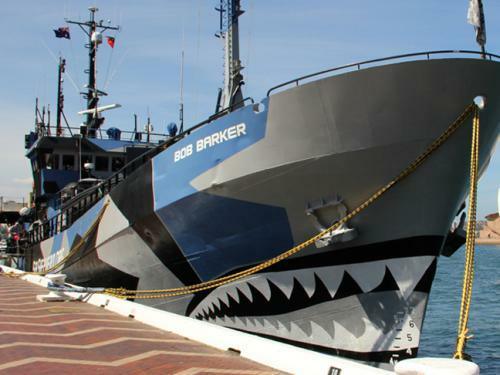 No wonder The Sea Shepherd decided to dock the ‘Bob Barker’ and stay for some sunshine in order to undertake some repairs! People mingled around the ship and the newly opened and renovated Museum of Contemporary Art. Even Will.i.am was part of the opening on the night before I arrived. He is Intel’s Director of Creative Innovation and ”played” his latest world-first interactive music and light collaboration on the façade of the refurbished MCA. Watch it here. I was down for the X Media Lab conference and it happened to be in the amazing Opera House. And while the conference had an incredible and famous array of speakers, the thing that stole my heart was Vivid and it’s light show. The Sydney Opera House was alight when I walked out of my conference. But then the MCA was bedazzled… yes, just sparkling. Customs House was amazing… Circular Quay and The Rocks areas were buzzing. 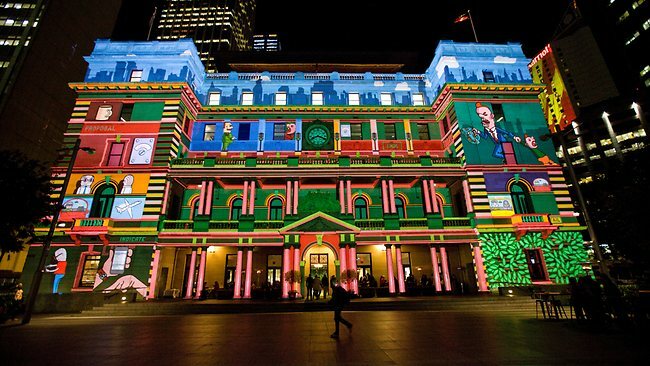 Vivid Sydney is on from now until 11th June. If you can click on the link and try to get down to visit. Saturday I spent exploring Newtown. I had recollections of it from over 15 years ago when I went to an academic conference, but the eclectic shops, people, smells and restaurants was another impressive display that Sydney put on for me. Even before my first coffee, I had seen a spaceman riding on a Pennyfarthing bike, served by a trans-gender in a store (and I learnt alot of new things from that young lady), and walked past a couple strolling down King Street dressed as if they were straight out of the 18th Century. this sector don’t understand this. You must continue your writing. I am sure, you have a huge readers’ base already!